You know what? When I found out Urban Decay was releasing the limited edition Vice 2 eyeshadow palette last week, I was so excited that I actually set my alarm so I could wake up early and buy it. 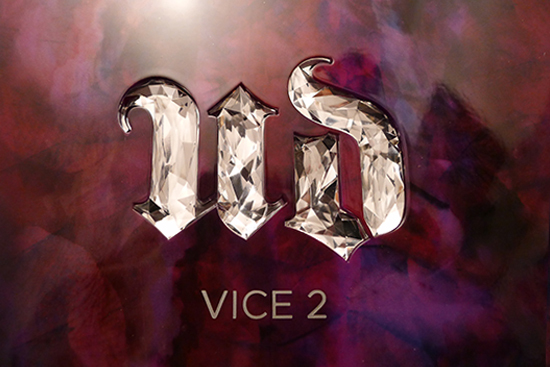 When my alarm went off, I rolled over, pulled my iPad into bed, and ordered Vice 2 before I even got up to pee. That was Tuesday morning – by Thursday morning I was holding the package in the middle of my office. When I took it out of the box, time slowed down and a celestial light shined over my desk while Schubert’s Ave Maria played. It was amazing. 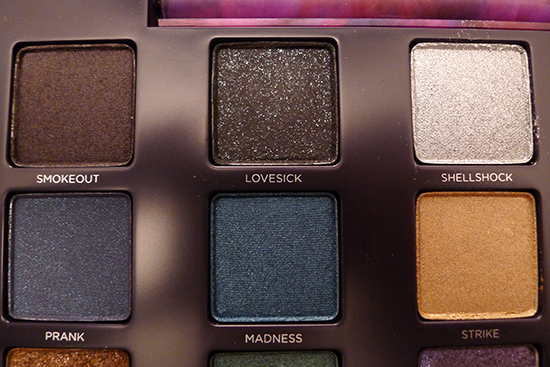 Yes, the Urban Decay Vice 2 palette is glorious. It’s so glorious that I’m gonna get right to the pictures so that you too, can bask in its majesty. I love the case for this palette. It’s a bit too bulky for travel, but the build is really solid, and the hinge is made so that when you press the button to open it, it comes up slowly on its own, then stays up until you close it. I’m also a big fan of the logo inlay that looks like cut crystal (but is actually just plastic). 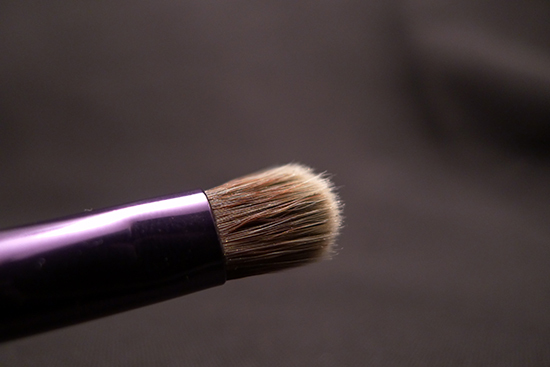 The included brush is double-ended, featuring a flat brush and a blender. 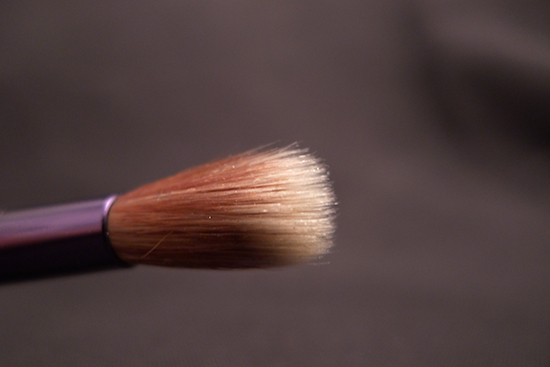 I haven’t actually used this brush for anything for swatching. 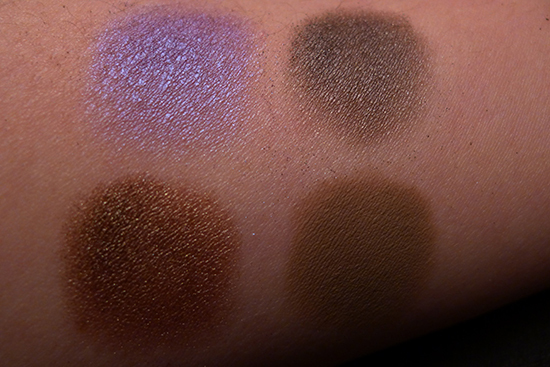 And now for the swatches! All swatches were done without primer. I missed the boat on the first limited edition Vice palette last year, so I can’t compare the two, but I can tell you that the Urban Decay Vice 2 Palette is damn near close to perfect. It has a great mix of neutral and more dramatic shades, so this palette is perfect for a wide variety of looks. 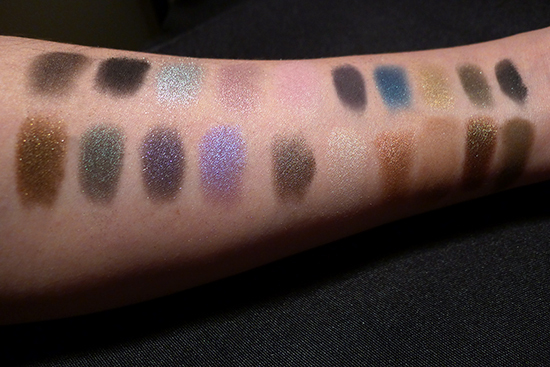 And unlike some other Urban Decay palettes, the glittery shades in Vice 2 don’t have a lot of notable fallout. I have almost no tolerance for fallout, so this was a huge plus for me. There were a couple of shades I found disappointing. 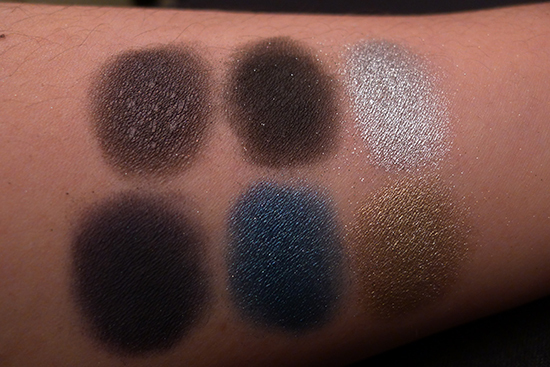 I really thought Prank would be more of a blue toned shadow because that’s how it looks in the pan, but when worn or swatched, it just sort of looks like black with a couple of flecks of turquoise sparkle. I was also not a big fan of Poison, which, for some reason, I thought would be more of deep, forest green. 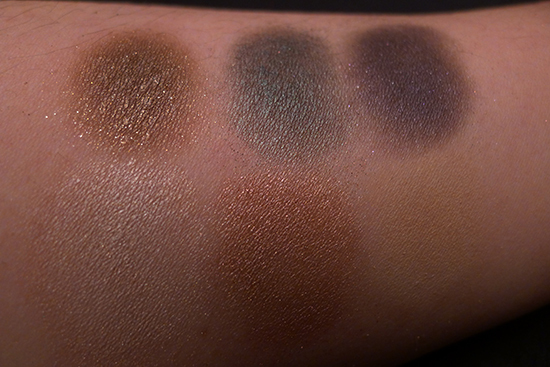 The rest of the shades are true-to-pan, richly pigmented, and have the signature, buttery Urban Decay texture. 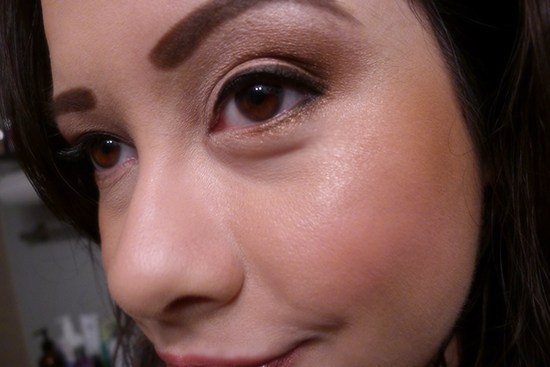 I’ve worn these shadows for up to 10 hours, always with Urban Decay Primer Potion, and I have yet to see any fading. 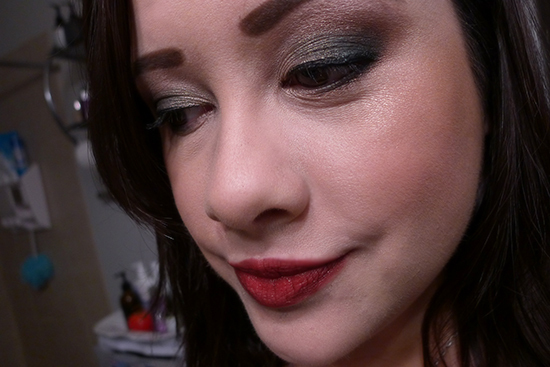 Urban Decay Vice 2 is easily my favorite eyeshadow palette of the year. Performance: 4/5 – Amazing color pay-off, gorgeous shades, smooth texture, and super long wear – this palette is ALMOST perfect. 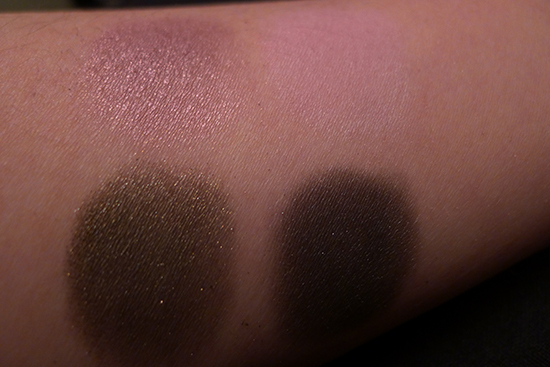 I had to dock a point for the two colors that weren’t true to pan, and that makes me sad. Quality:5/5 – Amazing. Great shadow formula, fantastic, well-thought-out packaging. 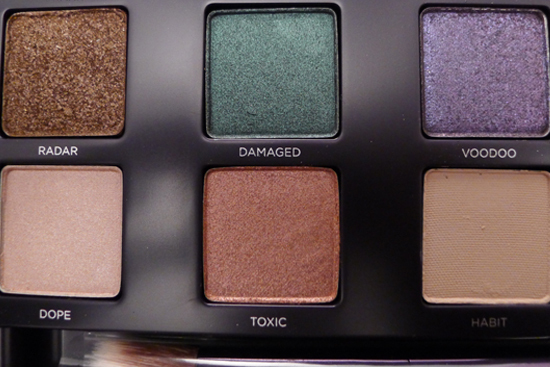 Value: 5/5 – The Urban Decay Vice 2 Palette retails for $59, which is a spectacular deal. Individual UD shadows are $18, but at $59 for 20 shades, you’re only paying $2.95 per shadow. I bought mine from the Urban Decay website, but as of today, it’s also available on Sephora.com! This palette is limited edition. 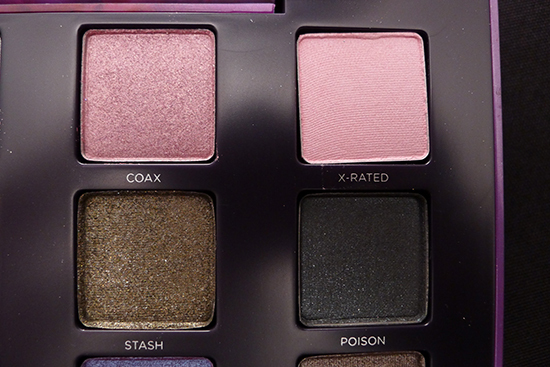 If it’s anything like the last year’s Vice Palette, it will disappear just after the holidays. 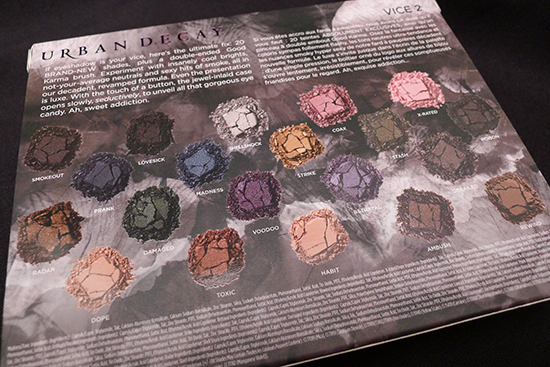 The Urban Decay Vice 2 Palette is available internationally – the UK should see this palette in stores at the beginning of October, if the Facebook rumors are true. Other international buyers can also order Urban Decay products though a shipping service called MyUS.com. Details are available on the Urban Decay website. 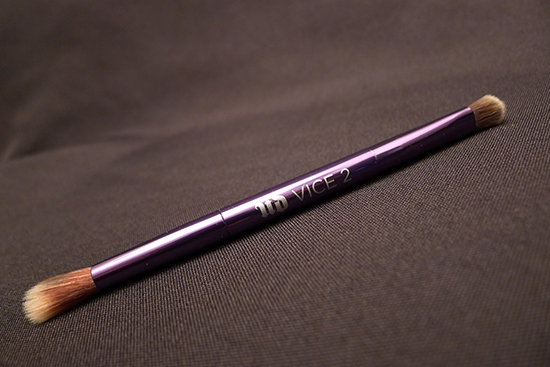 If I were a billionaire, I’d buy everyone a Vice 2 palette, but since I’m not, we’ll have to settle for a giveaway! 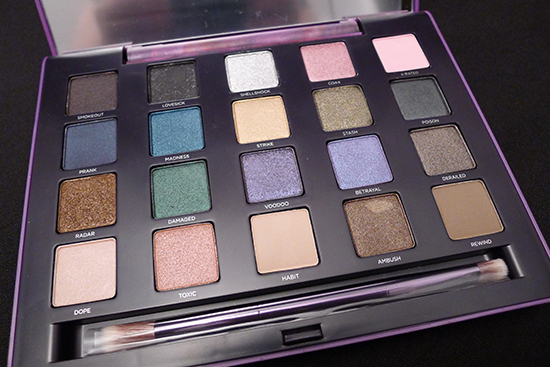 For this giveaway, one lucky, randomly selected winner will win a brand spankin’ new Urban Decay Vice 2 Palette. Entry is easy – just follow the steps in the Rafflecopter widget below, and you’ll be entered! You have until 8PM on Friday, September 27th to enter. The winner will be announced on Saturday, September 28th. This giveaway is open internationally. Good luck, everyone! 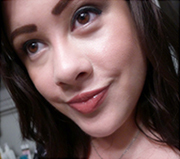 Ordering makeup before even getting up to pee, eh… that’s dedication. So lovely! 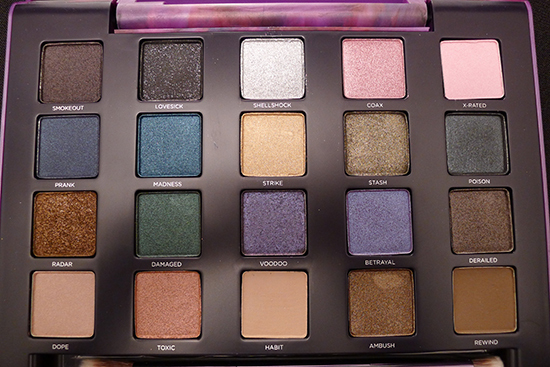 I got my sister to send me the original Vice palette for Christmas last year, because she was in the US at the time. I do like it, but the main reason I got it was Chaos and I swear it looks less blue on me and more purple. <.< This one looks pretty promising, though. 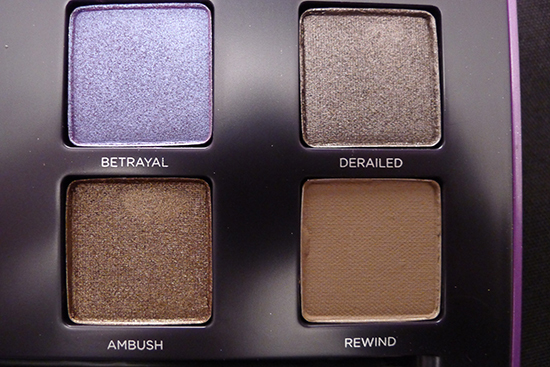 I love the look of Voodoo and Betrayal. How bizarre that Chaos looked purple on you – it looks so electric in the pan! Voodoo and Betrayal are pretty exciting. I am looking forward to doing a look with both of them! The Nakeds are such solid palettes! Although, I have to say, I ended up giving Naked 2 away. There was a lot of fallout for me, and the glittery face I kept winding up with frustrated me to no end. The colors were really lovely though – I probably would have been fine with it if I’d applied my eye makeup before my foundation, but I’m old and set in my ways. You’re supposed to apply eye makeup before foundation?? Oops. Hahah! I don’t think it’s a hard rule, but people always bring it up when I complain about fallout. Shellshock. Radar. Toxic. Ambush. These names haunt my dreams now. It really is beautiful! You’re welcome and good luck! What nice palettes! You did a great job of reviewing them. entered! thanks for such lovely giveaway! You’re welcome, Wajiha! Good luck! It really is amazing, Loris. You need it! Thanks Faiza! Maybe this will be the giveaway you finally win. Good luck! Thank you for the giveaway!) Love this palette! You’re welcome, Irina! Best of luck! You’re welcome, Vanda! Thanks for entering! I also hope they get an infection! Stealing makeup is such an awful (and gross) thing to do! You’re gonna love this palette. Maybe you should treat yourself to the Ocho Loco 2 set while you’re at it! This palette is beautiful!! I have the first Vice palette and use it all the time so I definitely need Vice 2!! I constantly regret missing out on the first Vice palette. I think you’ll love Vice 2! Best of luck to you, Heather! I do not own any of that brand! !Thanks for the chance! I would love to share this with my daughter ! Love to win this!!!! I never ever won something from internet. this my my first draw. I lovvveeeee the colors in this palette. I live in a country whr UD is not available so i have been trying sooo hard to arrange this… I hope i win this giveaway. When are you going to declare the winners? This looks gorgeous! And it has all the colours I want too.